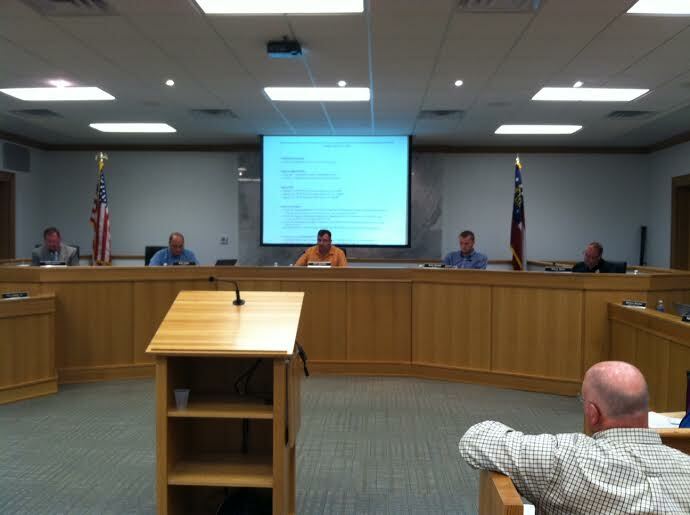 DAHLONEGA, Ga. — The Lumpkin County Board of Commissioners will hold a work session Tuesday, Dec. 6 at 4 p.m. in the Administration Building at 99 Courthouse Hill. Issues discussed during a work session may be voted on during the next regular meeting. Commissioners will award a Certificate of Appreciation for the Board of Elections for its handling of a record-setting Presidential election in November. The Board will also consider appointments to various boards and committees where members terms are scheduled to expire at the end of this year, including the Park & Recreation Citizen Advisory Board, currently held by Gary Pulley and Kenny Payne, the Joint Development Authority of Dawson, Lumpkin & White now occupied by Sen. Steve Gooch and Steven Leibel, a vacant seat on the North Georgia Resource Management Authority (NGRMA), the Board of Elections and Registration held by Dottie Krull and Sallie Sorohan and the Board of Health held by Dr. Richard Wherry. Contracts and agreements up for renewal include the Indigent Defense Contract with the City of Dahlonega, the Memorandum of Understanding for continuation of the grant program for Victim of Crime Advocate and one with Legacy Link for senior services. County Manager Stan Kelley will review the county’s service delivery strategy. Planning Director Larry Reiter will review a proposed update to the sign regulations and the Capital Improvement Plan (CIP) for the airport.